LG G-Slate Is 200% Faster than iPad2? Have you gotten yourself an iPad 2 yet? I am not going anywhere near one as I think the iPad is more than enough to suit my needs. That is, playing my silly games and occasionally surfing the Web. There is also the even rarer occasions when I use the iPad to blog or create documents. My point is, I am the kind of user who does not need a faster tablet. If, however, you have a need for speed, then you will be excited to know that T-Mobile is touting their new tablet, the LG G-Slate. Their claims are rather bold, designed to make one’s blood quicken upon reading. 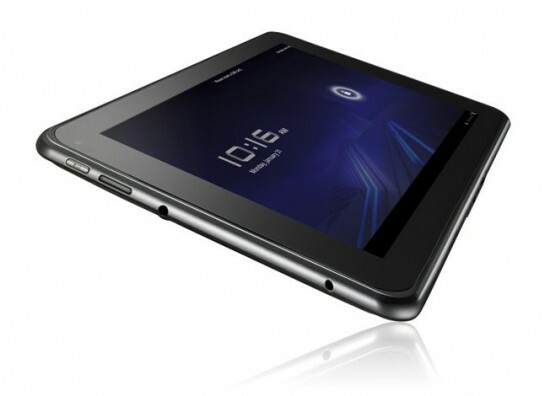 A whopping 200 percent faster than Apple’s newest tablet (iPad2). An even more impressive 300 percent faster than Motorola’s XOOM. How can that not fail to impress? But they do not stop there. They highlight what may be the deciding factor for a whole lot of people – the price. The LG G-Slate is cheaper than both the iPad2 and the XOOM. Consumers have to shell out $729 for the iPad 2 and $599.99 (on contract) for the Motorola XOOM. For the LG G-Slate, one only has to put aside $399.99 for a 2-year contract. And if you hate being tied down by contracts, then you can get the G-Slate for $599.99 – still considerably than the other options! Given the attractiveness of the package due to the speed and pricing, the question is whether the LG G-Slate will become as popular as the current tablets in the market. In a review published by BGR ((Review)) a couple of months ago, it seems that the LG G-Slate still has a lot of catching up to do. Catching up in terms of the user interface and apps. But these are issues that have always plagued Android devices (mainly because of people who compare them to Apple devices), and still the Android camp has a strong following. On the other hand, the G-Slate is said to be very solidly built, having a high end feel – not like some cheap plastic device. Bottomline: the LG G-Slate will be an attractive option for consumers who are not Apple fanboys. And there are more of them out there than some might think.